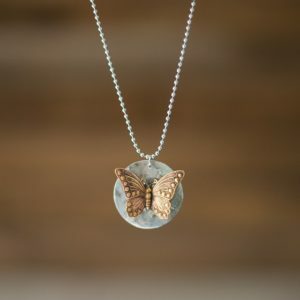 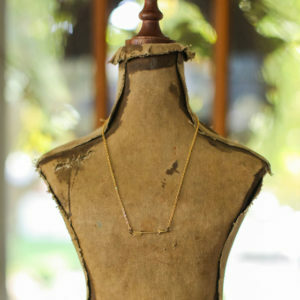 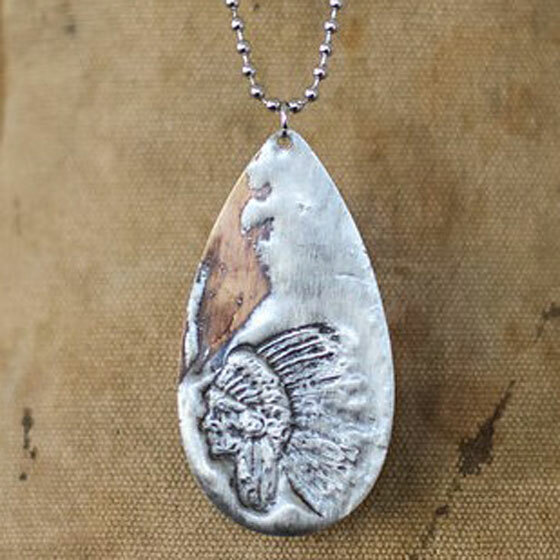 A brass tear drop measures approximately 2.5″x1.25″. 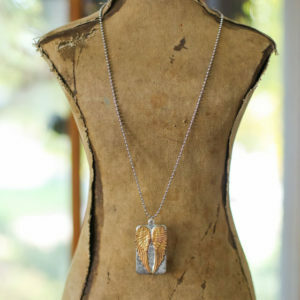 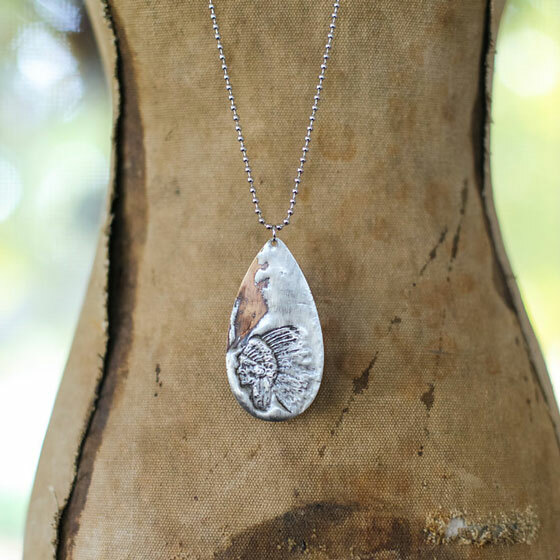 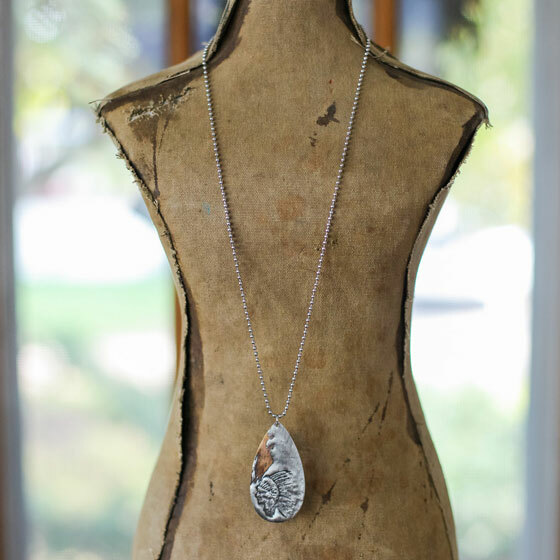 The pendant features a rustic soldered finish with a stamped impression of a Chief’s head. The chain is stainless steel and is approximately 32″.